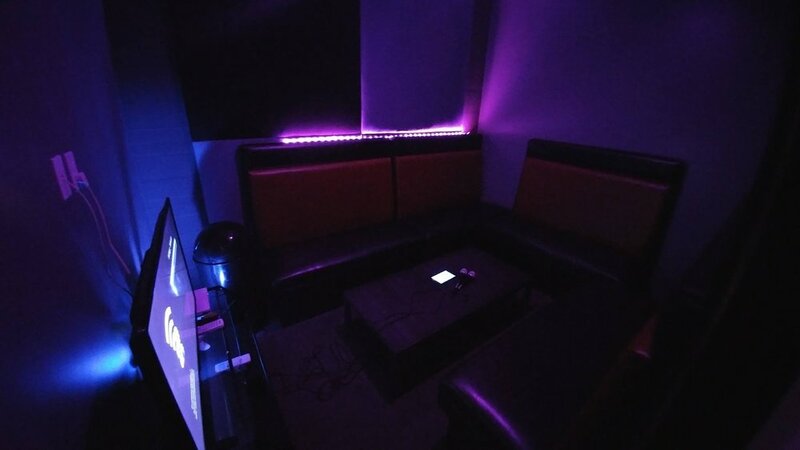 Kapolei Karaoke rents private Karaoke rooms for your private party. We feature a full service bar with room service, and daily happy hours. Our rooms feature state of the art Voicebox technology, Hue Pro lighting, percussion instruments and the latest in music! We are Kapolei's Modern, Sophisticated and Local Karaoke Bar! We make no guarantee rooms will fit max capacity. If unsure please visit us on a weekday and we'll give you a tour. 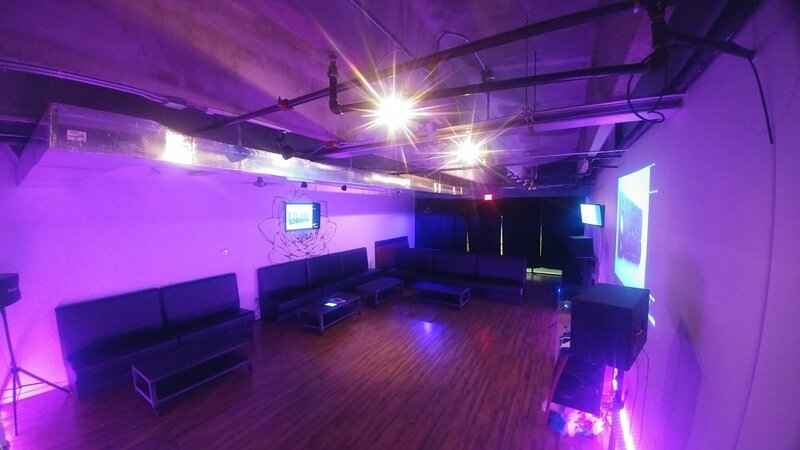 The VIP Room is equipped with the new standard in karaoke technology, percussion instruments, Ukuleles and Kapolei Karaoke costumes for an extra fun time. Our newest signature 780 square foot room fits up to 40 singers. Plenty of room to sing and dance! Why don't you have the songs that I want? Why don't you have Hawaiian music? American copyright laws limit the songs that we can actually acquire. Any violation of this is a huge fine for the business owners. We are licensed under ASCAP and only carry licensed music. We are trying to get the license for Hawaiian music. We are a family friendly business. However we card all of our patrons. We allow minors to be in our rooms where alcohol is consumed provided they are over 18, surrender their ID and wear an approved wrist band. All rooms are monitored for underage drinking and if caught, your party will be terminated and you will be referred to HPD for supplying alcohol to a minor. You may host your private Bachelor and Bachelorette Parties, however you must contact us to pre-arrange your event and ensure house rules are adhered to. NO BYOB! We confiscate all alcohol. We reserve the right to search coolers. Anyone who sneaks in alcohol will have their party terminated with no refund and will be banned from Kapolei Karaoke. How many people can fit in your rooms? The amount of people that fit in the rooms is dependent on their size. We have tested the rooms out to determine its max capacity but there is no guarantee that that many people can fit in the room. We encourage you to come by and check out the size for yourself if you aren't sure. Do I get additional time to set up and clean? Can I just come in and sing without reserving a room? Kapolei Karaoke turns our largest room into a lounge Monday-Thursday open to the general public. The Signature Room is only for private parties Friday-Sunday.